the Ball Booster is a collaborative effort of the entire family. Everybody contributed during building, documenting and filming. 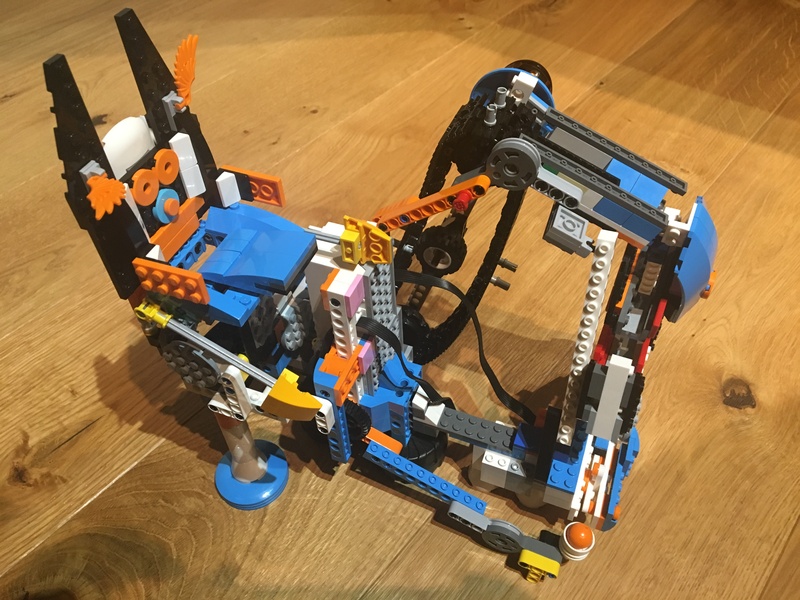 Similar to large GBCs (Great Ball Contraption) the machine transports Lego balls around. To ease the re-build by other Lego fans we restricted ourselves to just the parts available in the 17101 Lego Boost set. Therefore, the ball drops over some higher stairs on its two ways down. 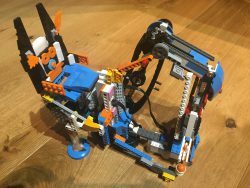 By adding some other Lego bricks from your available Lego you can easily extend the roller coaster and more than double the volume of the model. The model can use all kinds of balls with a diameter of approximately 14mm (e.g. glass marbles). The easiest option is to use original Lego soccer balls or basket balls.